(C) 1995 by Richard S. Brown All rights reserved. (c) 1997 Richard S. Brown, Jr.
"I found the 'Prabhupada-smarana' interesting reading. 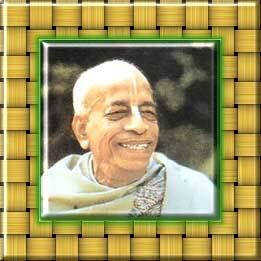 I am glad that you are writing your remembrances of your conversations with Srila Prabhupada. Please continue to send me whatever else you produce." "Regarding Hrsikesa das (Richard S. Brown, Jr.), he may come here to Mayapur and I will discuss with him what his engagement shall be. He speaks fluent Bengali, so he may teach the local boys here at our school." When I went to join Sri "Swamiji" in Vrindavana, Jan. 1968, H.D.G. had already returned to America. So I went to the Gaudiya-matha under Prabhupada's Godbrother Tridandi Swami Bhakti Hridaya Vana (Bon) Maharaj. Srila Bon Maharaj told me that he had received word from Swamiji saying that I should stay put. So I remained, almost completely isolated, in Vraja-dham for 6 1/2 years. Finally, in 1973, under the jati-buddhi grossly offensive influence of ISKCON devotees, I abruptly left Srila Bon Maharaj and returned to the feet of Swami Prabhupada in Mayapur. Whenever I would meet Swamiji he was delighted to speak in Bengali. Every afternoon for a couple weeks Srutakirti Prabhu would tell me that Srila Prabhupada wanted to see me, and we would converse in Bengali. Because I had been brought up in the Gaudiya Math with Indian devotees, Prabhupada knew that I had been exposed to esoteric information about Rupanuga bhakti (the specific path of Rupa & Rati) and siddha-pranali. So Swamiji would quiz me to see what I knew about "manasa-seva" or "bhajan," and I would also ask him to clarify, discuss, or approve of things I had learned about 'the' subject. During this brief Guru-sanga I had the chance to also work directly with Swami Prabhupada. Humbly I suggested to him that he could complete Srila Rupa Goswami's Sri Upadesamrita very quickly because it was only 11 slokas. Prabhupada immediately asked me to bring my copy, and he took the book from my hand and then began right away. We started and basically completed the Upadesamrita over a period of two weeks in Mayapur. While working on this book we also had further discussions about the main goals mentioned in the book (Nectar of Instruction by Srila Rupa Goswami). I stayed in the room next to Srila Prabhupada which was shared by Satsvarupa Maharaj and Srutakirti Prabhu. 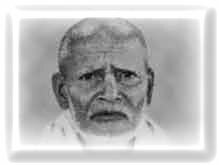 ACBSP: So how is (Bhakti Hridaya Vana) Bon Maharaj? HD: Busy with supporting his school, Gurudev. ACBSP: So what you have learned in Vrindavana? ACBSP: Yes! But who is siddha? HD: One out of millions of seekers (quoted the verse BGita, "manushyanam sahasresu..." But isn't this (Nitya-lila) our goal , Gurudev? ACBSP: Yes, we are the followers of Rupa-Raghunath. 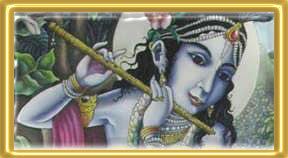 This is the highest understanding, to be dasanudas in Radha-Krsna's lila. HD: But what about siddha-pranali? How to qualify? Who will give? ACBSP: Guru will give. You just chant Hare Krsna. HD: (I mentioned the story of Chota Krishnadas, who tried to quit his body by jumping into Manasa-ganga, when he heard that only his Guru, who had already departed, could give him siddha-pranali) ...How to receive this eternal information, Gurudev? ACBSP: Guru will give. There is no material consideration about Guru is here or there. When you reach that level, Guru will give. HD: Gurudev, what about manasa-seva, like the Brahman who burnt his finger in meditation? Isn't that bhajan? ACBSP: Krsna makes no distinction. But if you serve Krsna by mind He will accept. That is sure! HD: Gurudev, whenever I mention anything about Rupanuga bhakti many of my Godbrothers get angry and say it is all a bunch of Gaudiya Math nonsense, and you never taught that! ACBSP: Everything is coming, they will also know it. HD: Gurudev, is the asta-kaliya-lila by Kaviraj Goswami the REAL Nitya-lila detail? HD: I would like to mention "asta-kaliya-lila" in this sloka 10 (Nectar of Instruction). So we can all know from you the highest goal. What do you think? ACBSP: Yes, you put it. HD: How about these two slokas from BRS (Krsnam-smaran. Seva sadhaka rupena...) ? I think they will enhance this purport (Upadeshamrita: sloka 8) . Is that OK? HD: Gurudev, what about rupanuga bhakti. What is the eternal relationship between us (disciples) and you? ACBSP: (Prabhupada quotes the 2nd half of sloka 6 of Gurvastaka) Guru is serving under his master and you all can do likewise. 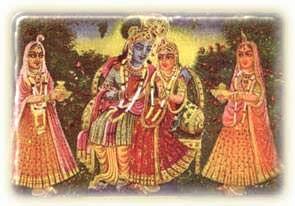 In Nitya-lila every devotee thinks like that, that my master is the most dear to Radha-Krsna. HD: So that means that my relationship with you is eternal, that it will continue in Nitya-lila? HD: But for 'Rupanugas' isn't it always manjari-bhava? ACBSP: Yes. That is the highest; but in the spiritual world there is no such distinction. Every one is Krsna conscious, even the ------ (something like flowers or clouds, i.e., a santa-rasa example). HD: Gurudev, is it true that Thakura Bhaktivinode's spiritual name is "......" manjari? And your Guru too, isn't he " ...... .......?" ACBSP: Laughing! Oh, you have learned too much? ACBSP: Who is saying like that? HD: Many, Gurudev. They say there is only preaching. But what about Prabhupada (H.D.G. Srila Sarasvati Thakura), I heard he was a bhajan-anandi with no disciples. 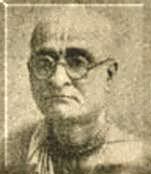 Kunja Vihari das (H.D.G. 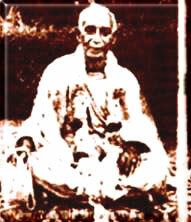 Tridandi-bikshu B.V. Tirtha Maharaj) found him and brought him out to preach. Isn't it? ACBSP: Yes, my Guru Maharaj came out to preach. HD: Wasn't he (Prabhupada) already in the Nitya-lila ? How about Gaura-kishore, didn't he have only one disciple? ACBSP: Yes, but he was one disciple better than thousands of others. He was my Guru Maharaj. He was there (Nitya-lila) but he kindly "came down" to preach. HD: What about your Godbrother, Krishnadas Babaji, he has no disciples? 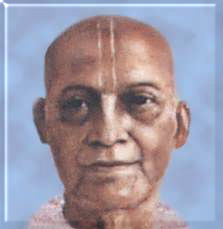 ACBSP: Their are two types of devotees, bhajan-anandi & ghostya-anandi. Babaji Maharaj is in bhajan. HD: He is always chanting "Hare Krsna!" ACBSP: Yes, that is his only business. He is akinchan. HD: Gurudev, what is the meaning of "bodhayan atman-atmanam" in Sri Brahma Samhita (V/59), does it (also) mean that we realize KRSNA and our own svarupa simultaneously? HD: What about realizing your svarupa, Gurudeva? ACBSP: That is the same thing. ACBSP: But you know already (from HDG Srila BH Bon Maharaj), isn't it? Then that is all right!